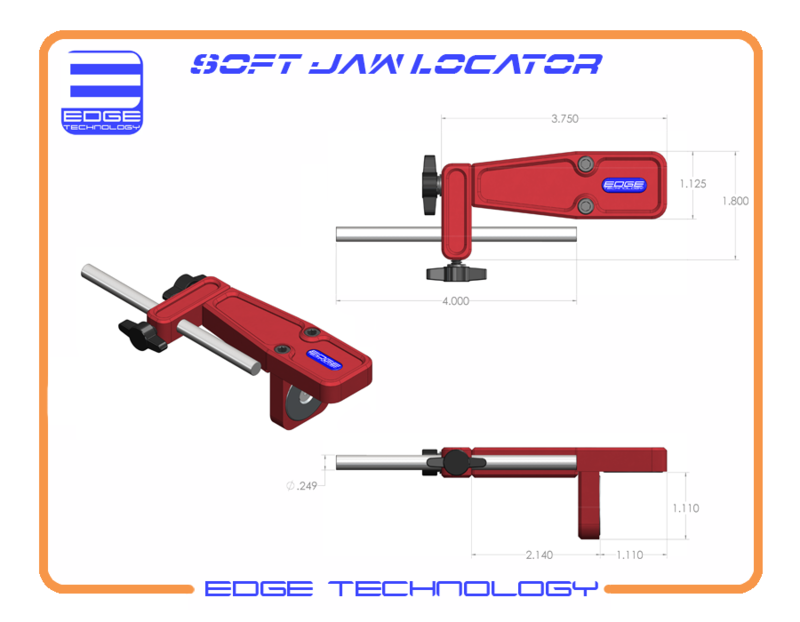 Accurately align soft jaws with the Soft Jaw Locator by Edge Technology. 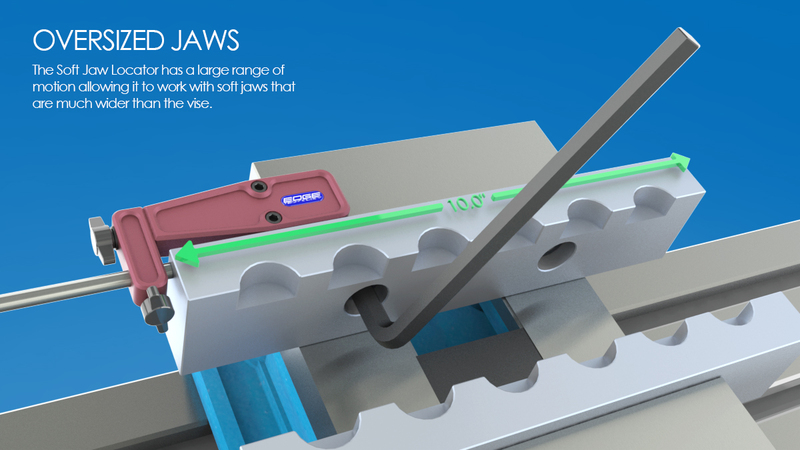 Decrease set up time and eliminate non-conforming parts caused by soft jaw misalignment. 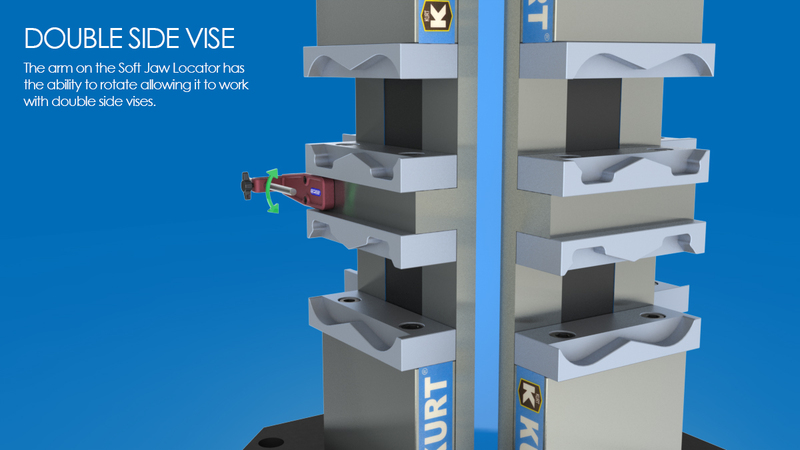 The Soft Jaw Locator allows you to standardize the way soft jaws are installed in your shop, ensuring every job is setup the same way and runs without issue. 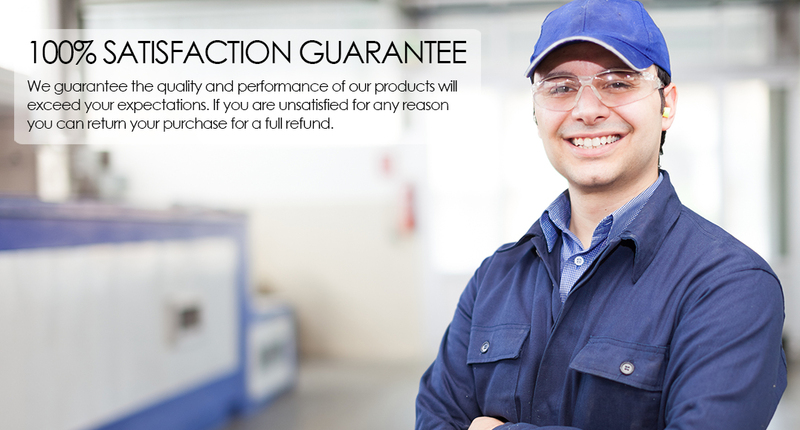 Click on the Owner's Manual to see how fast and easy the installation procedure is. •	Two powerful neodymium magnets generating a total of 28 pounds of pull are used to hold the unit in place. •	Adjustable 1/4" stop rod allows compatibility with different width soft jaws. 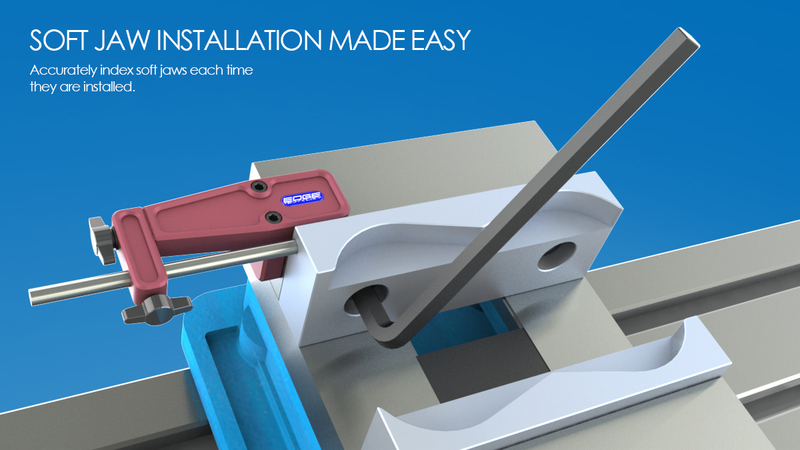 •	Fits all milling machine vises widths. •	Stop rod holder arm is rotatable for use with double side vises. •	Body made from high strength aluminum.